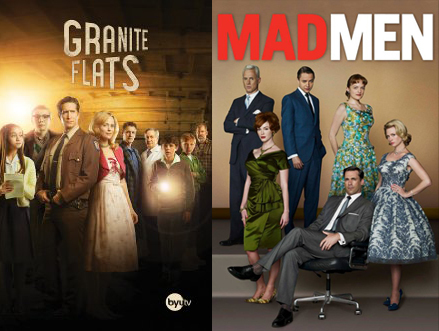 Mad Men, Granite Flats, and “family-friendly” TV | spifftacular. Update 5/7/15: I just read an article in BYU Magazine by Scott Swofford, the producer of Granite Flats. It’s a must-read for Mormons who, let’s face it, could all use a little more humility, authenticity, and love in their efforts to share their beliefs with others. But it also provides some interesting background about the evolution of the show and of BYUtv. Also, some cast members (including my girl crush Parker Posey) were apparently on the Today Show this morning, so that’s cool. Do you like Mad Men? Do you hate Mad Men? Either way, you’ll probably enjoy Granite Flats. The show, which just released all episodes for its third season online, begins in the same decade as Mad Men, but is set in a small military town rather than on Madison Avenue. 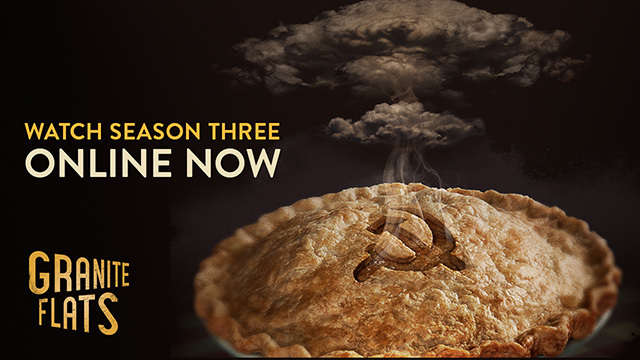 The first season offers intrigue in the form of a deadly explosion, a mysterious crash landing, and an eerie psych ward. The second and third seasons escalate into a tangled web of secrets involving the CIA, the FBI, the KGB, and a trio of meddling kids. 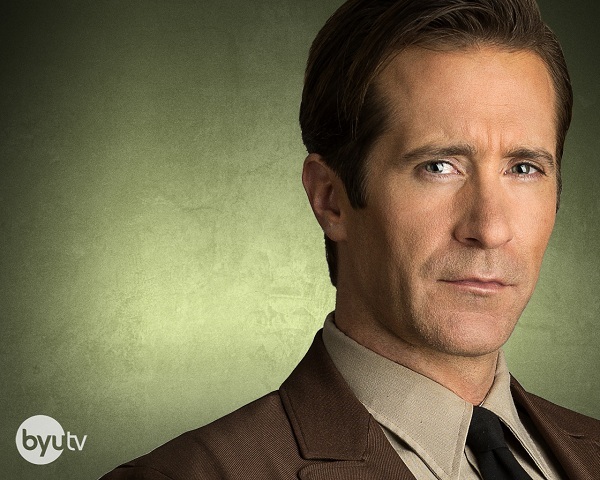 There is also a police chief with uncannily Don Draper–like chiseled features and brooding gazes. Really, he’s just Don Draper minus the ennui. When it comes to Mad Men, I relate to both fans and haters: I quit watching after three episodes because I found it too depressing, but I’m still intrigued enough by the show to indulge in reading the occasional think-piece about it (like this, this, or bwahahaha this). While Granite Flats eschews any distinctly Mormon identifiers, it does embrace faith. And rather than promoting a particular faith, it supports the idea of many paths to faith. (The show’s producer has touted the fact that the writing team comprises a Buddhist, an Orthodox Jew, a lapsed Catholic, and two Mormons.) Many characters attend a generic Protestant church, with varying levels of devotion. Some are ambivalent, some seem to go through the motions, and some routinely seek out the pastor for counsel. There’s even a family of secular humanists, and although one of them may be considering conversion, their lack of religious belief isn’t fixated on as something to be fixed. What pleasantly surprised me (and the New York Times) is that the show doesn’t use the vintage setting and the no-swearing policy as an excuse to avoid storylines about people with real flaws and struggles. Unfortunately, this is less true of Season 1, which is often sluggish and one-dimensional. As the Mormon Iconoclast blog observed, “By insisting on creating an entertainment that doesn’t have certain elements, they haven’t really defined what they want to do instead. As a result, the show seems peculiarly undramatic.” But the second and third seasons evolve to show actual drama and characters who are more morally complex. The approach of Granite Flats to a morally complex world is, unsurprisingly, different from that of Mad Men. In Mad Men, love is merely something invented to sell nylons, and characters frequently spiral into self-destruction and rationalize (or are oblivious to) selfishness, to the point where such a path seems inevitable. (But hey, I’ve only seen three episodes! Correct me if I’m wrong here!) In contrast, Granite Flats depicts a world where people struggle, and often make mistakes, but also find ways to extend forgiveness to each other and themselves, to comfort each other, and to press on despite darkness and confusion. A more important difference than Granite Flats vs. Mad Men is Granite Flats vs. typical “clean” or “family-friendly” entertainment, which too often is dull, preachy, or unrealistic. (As Jim Gaffigan wrote in Dad Is Fat: “As a parent, I know ‘family-friendly’ is really just a synonym for bad.”) But over the course of the series, people negotiate complicated relationships (like a woman with her foster son and his alcoholic father) and confront ethically fraught situations (like a nurse deciding whether to stay involved in a questionable government program in which she is trying to protect a patient from harm)–and that’s what makes it interesting. And while some characters come off as one-dimensional heroes or villains in the first season, a fuller picture of their motivations is gradually revealed. Granite Flats isn’t perfect, of course, but I’m grateful it’s out there. It shows that “family-friendly” or “faith-based” doesn’t have to be boring, and more importantly that it doesn’t have to mean tidy black-and-white moral choices. In fact, faith cannot exist in black and white. It’s natural to crave black and white. Everything is easier that way! But it’s when we feel we are in the grey—or in the utter dark—that we have to reflect on what we know and what we feel, then act in faith. And as we experience the consequences of our choices, we continue to learn and grow. This touches on the distinctive Mormon view that the purpose of this life is to be tested and thereby refined so we can ultimately become like God in the next life. Answers that are self-evident don’t make a very effective test—nor do they make for interesting television. In life and in TV, we require nuance and paradox to uncover and mold our best selves. That’s just the sort of idea Don Draper might say he invented to sell nylons, but it’s what I believe, and I’m glad Granite Flats is attempting to articulate it in a way that appeals to audiences. Season 1: Sluggish and one-dimensional compared to Seasons 2 and 3 (but worth watching for the setup of various plot points). Kids: Two of the kid characters are painful to watch. Their dialogue and storylines together are overwrought, like a garish parody of Hermione and Ron. Anytime they’re onscreen together, my husband and I are just like BARF BARF PLEASE MAKE IT STOP PLEASE INTRODUCE A STORYLINE WHERE THEY GET HIT ON THE HEADS WITH A METEOR. Stiff acting and dialogue: It’s hard to tell which is the culprit. The writers are ambitious in sprinkling casual conversation with literary references; sometimes it comes out clunky. And the actors earnestly try to channel the dialects and manners of the era; again, sometimes it comes out clunky. The plot!!! The tangled web of espionage and family secrets is delicious, particularly because the storyline about a secret government program called MKUltra is based on real (and troubling) events. 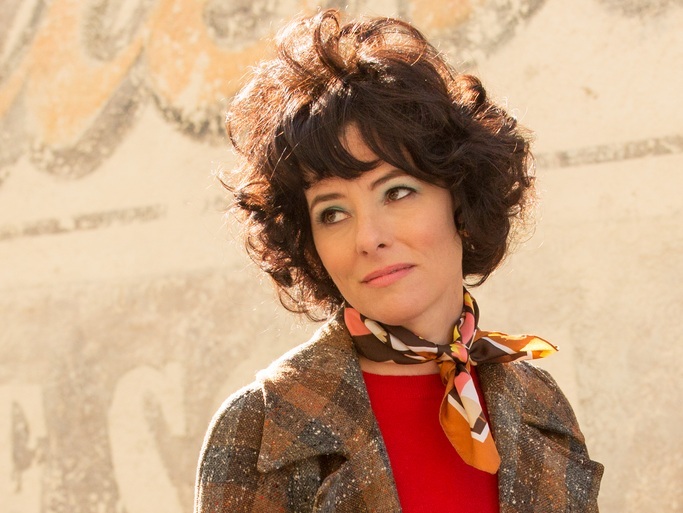 Parker Posey: She steals every scene she’s in and elevates the rest of the show. And she rocks blue eyeshadow. Other guest stars: George Newbern (from Scandal) lends a natural ease to his scenes. And Cary Elwes and Christopher Lloyd do an excellent job of channeling the character types they’re well-known for. Character development: Even the admirable characters have flaws and make mistakes, and even the unlikeable characters have understandable motivations at times. Intertextuality: Each episode has a lofty-sounding title drawn from literature or scripture, and characters frequently cite Shakespeare, Whitman, and the Bible. Sometimes it’s executed gracefully, sometimes not, but either way it deepens the meaning of the story. High production quality: I’m no film expert, but the set and costume design, cinematography, etc. is lovely. Extremely well written essay. Thanks for sharing.